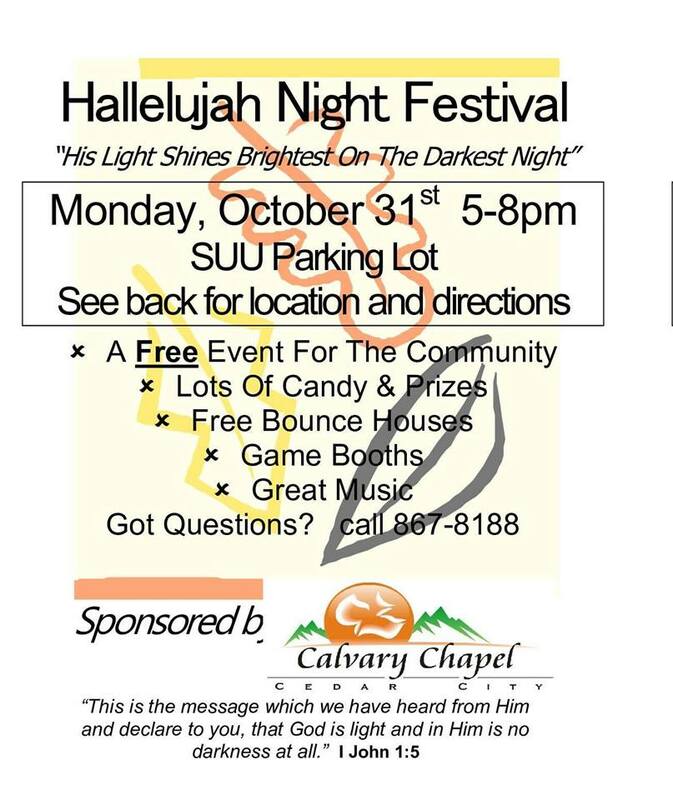 The Hallelujah Night Festival was Monday, October 31, 2016 from 5:00 pm to 8:00 pm at the SUU parking lot. 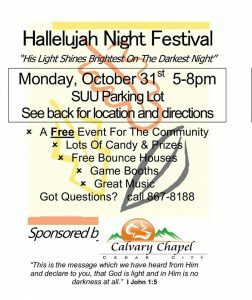 It is a free Halloween event for the Cedar City area community. There will be lots of candy and prizes, free bounce houses, game booths and great music. Bring your kids and dress in costume for this fun event. The Hallelujah Night Festival happens each year. If you have any questions, please call 435-867-8188. This event was added to the calendar.